Filed Under Blackburn Rovers F.C., John McDermott, Newcastle United F.C., Norwich City F.C., Tottenham Hotspur F.C., University of Warwick, West Bromwich Albion F.C., West Ham United F.C. John McDermott is excited by the tournament. The line-up for the third edition of the Premier League Under 16 tournament has been confirmed after last weekend’s regional qualifying tournaments. Manchester City, Everton, Newcastle United, Sunderland, Chelsea, Tottenham Hotspur, Liverpool, Cardiff City, West Bromwich Albion, Wolverhampton Wanderers, Arsenal and Reading will all send their under 16 sides to the tournament at the University of Warwick after winning their respective regional qualifiers. 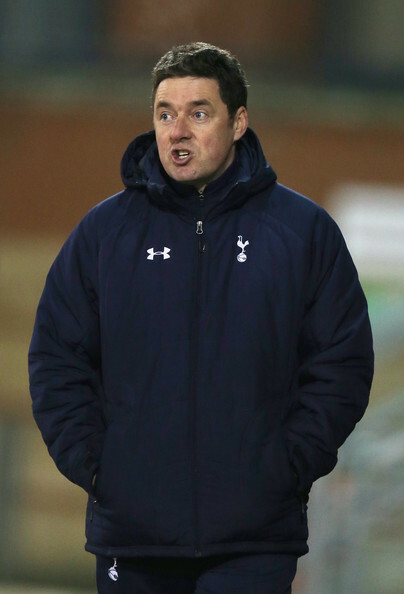 Tottenham Hotspur Academy manager John McDermott told PremierLeague.com: “I love the tournament format. Our policy is to share time around and this enables us to take 18 or 20 players. Spurs qualified alongside Chelsea as West Ham United hosted their regional qualifying group in a day-long tournament with Norwich City also included. “What we have got at the moment is just right and everybody played all of their players, no one had the same 11 in every game. Everybody went there with a similar ethos and it was a good day,” McDermott said. The event was won by Norwich City in 2011 and Chelsea triumphed last year. This year’s tournament takes place over the weekend of 25-27th October. McDermott added: “The games are shorter in tournament football so being able to concentrate and start quickly is important. It’s a test of their mental resilience. It is quite rare to win every game in a tournament and there are going to be highs and lows. “A good tournament replicates a season in many ways because there are ups and downs, there’s fatigue towards the end and it requires players sometimes to perform when maybe they are a little tired. “There are a million different things that they get out of it. They are away from home, they are in a controlled environment which again is always good for the players and also good for the staff to get to know the players and maybe influence them a bit more.